120 pp, 9.5 x 7 in. 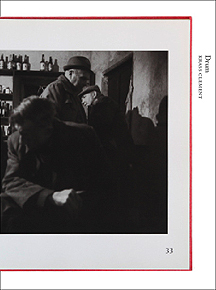 Krass Clement's Drum, photographed in an Irish pub on a single evening with only three and a half rolls of film, is now considered one of the most important contributions to the contemporary Danish photobook. Revolving around one principal character - a hunched, weather beaten old man who sits alone with his drink, Drum comments on community, the outsider, alienation and the terrors of being alone. 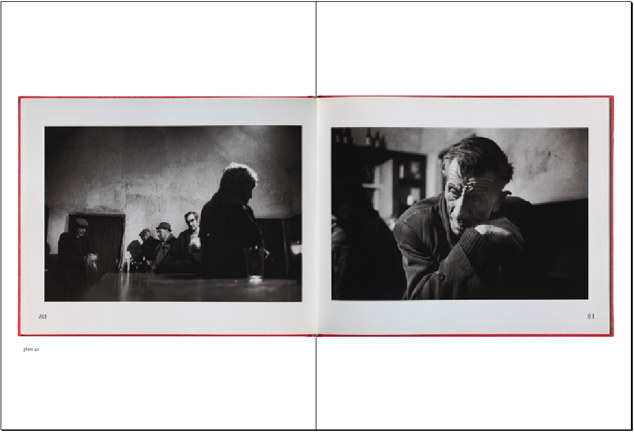 Books on Books #16 presents every page spread from Clement's masterwork with an essay by the photo historian Rune Gade called Halting, Without Halting: On Krass Clement's Photobook Drum.